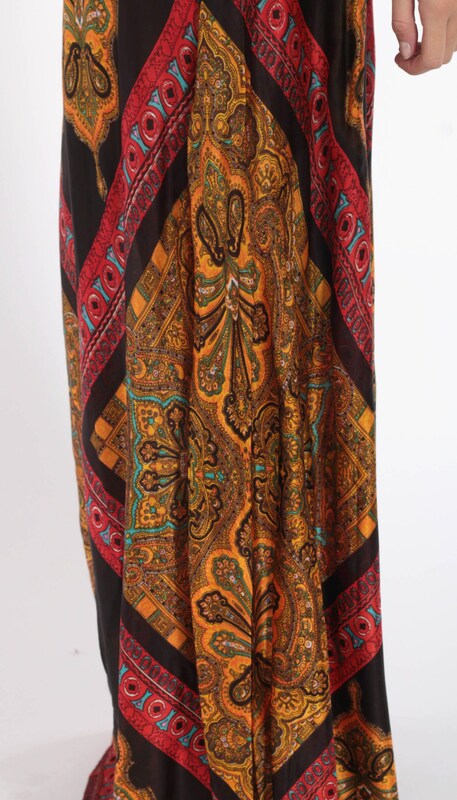 Vintage 70s maxi dress with a black velvet bodice and a psychedelic scarf print skirt. Sleeveless with a low waist. Full length. 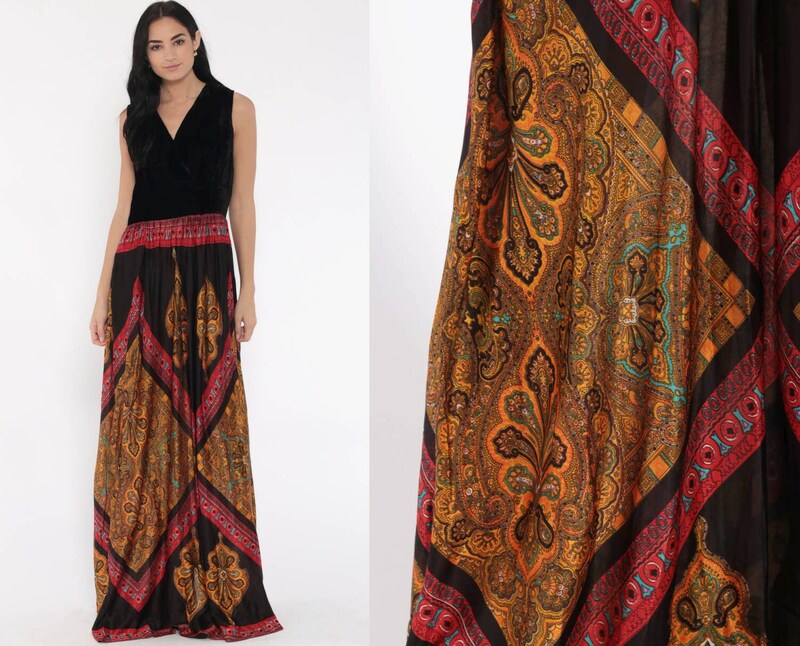 Material: Feels like a velvet bodice with an Acetate skirt.